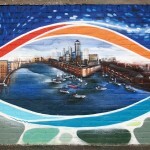 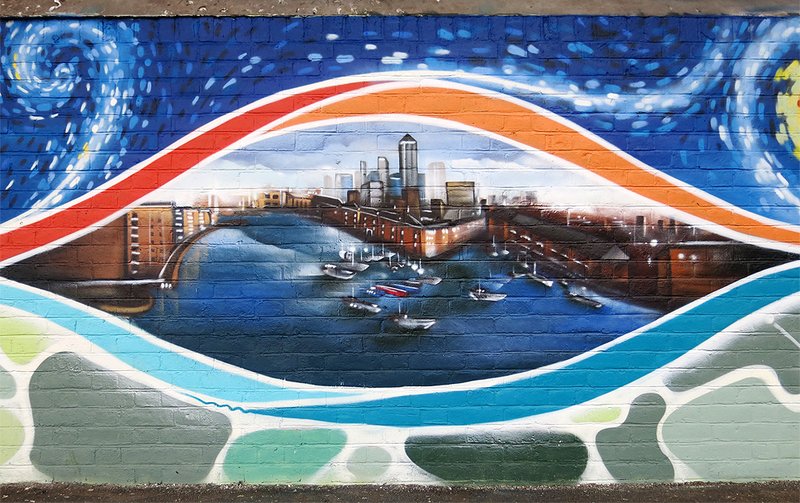 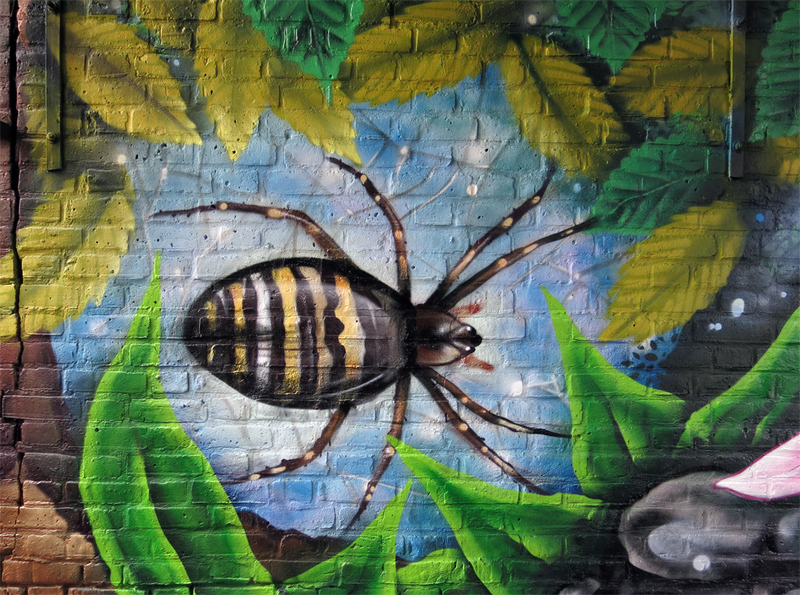 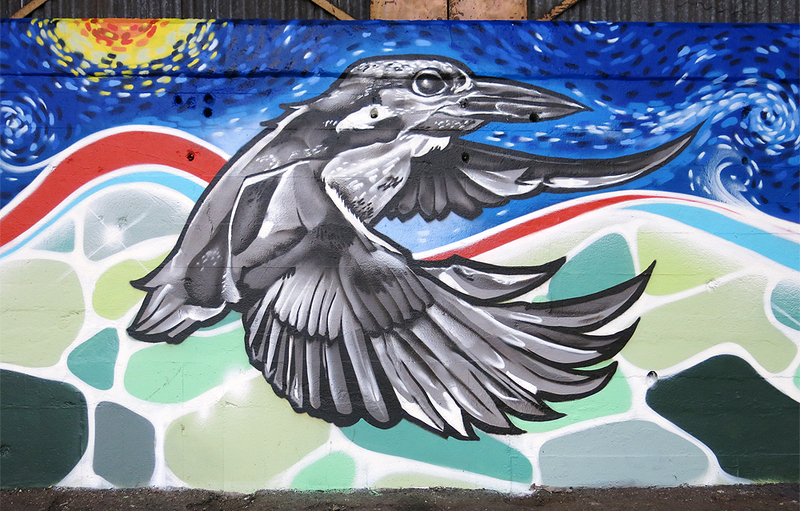 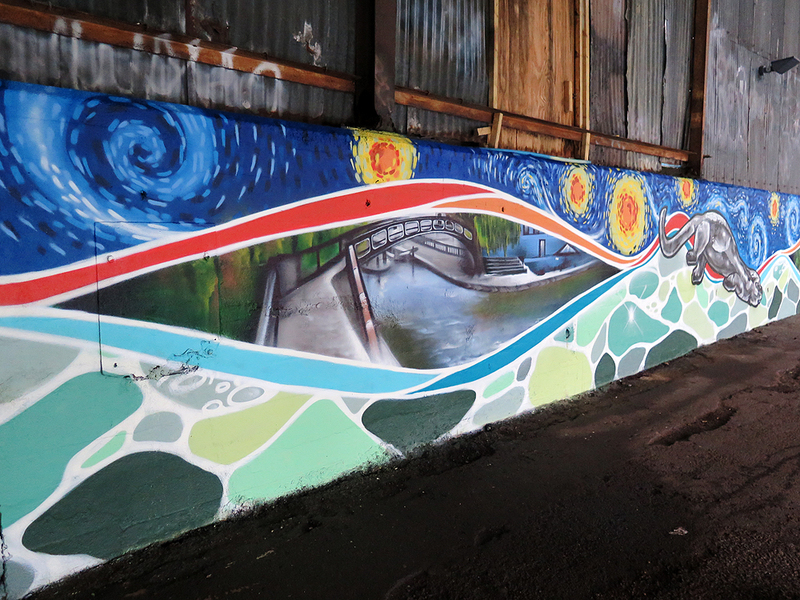 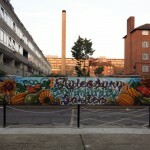 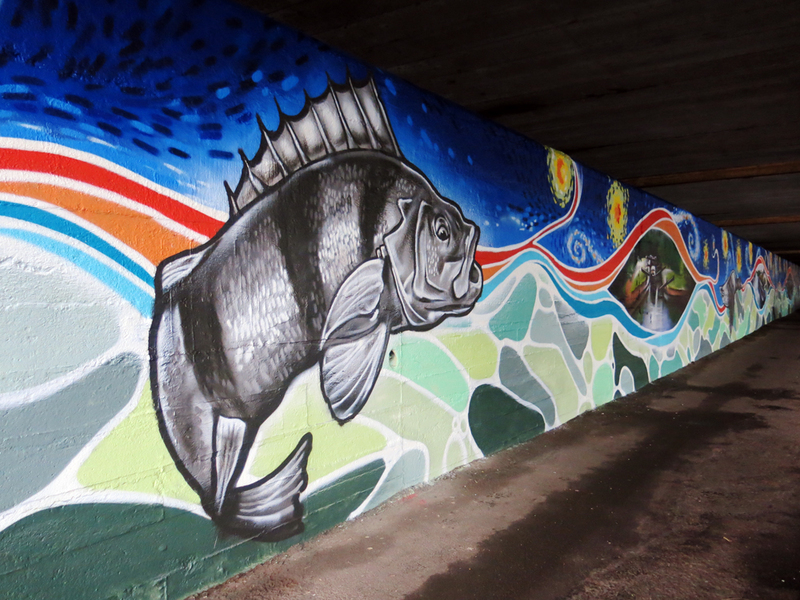 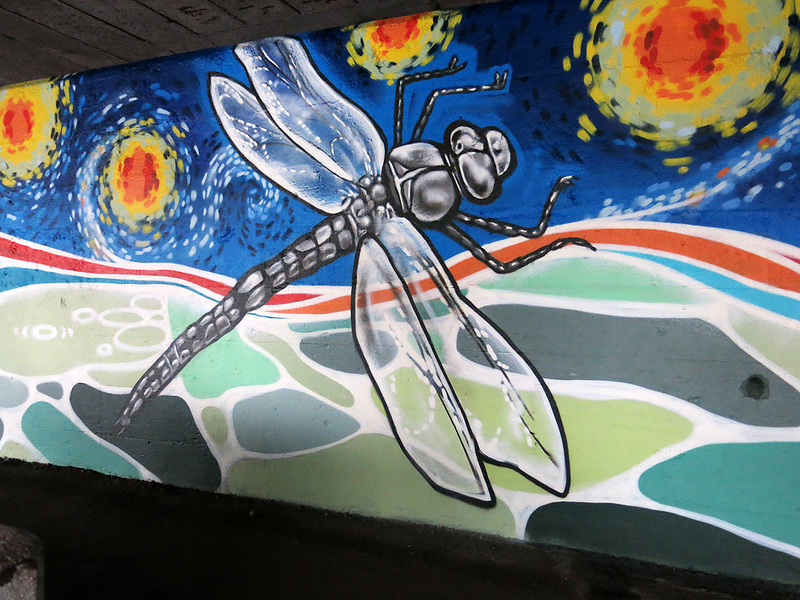 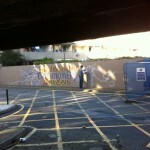 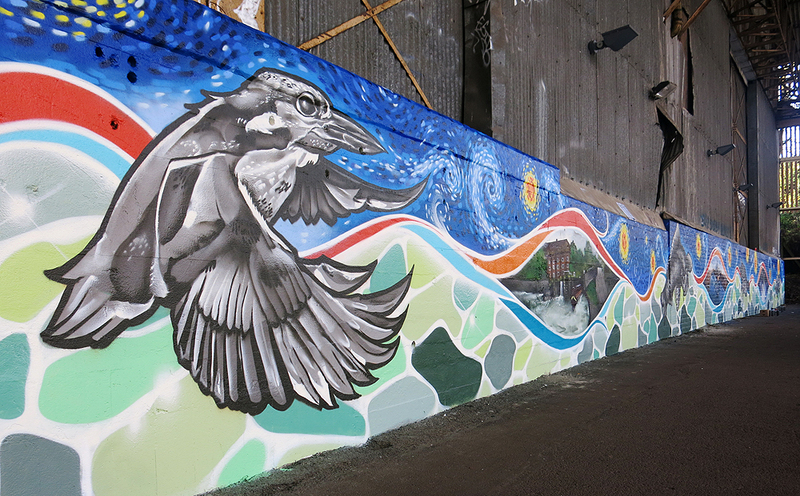 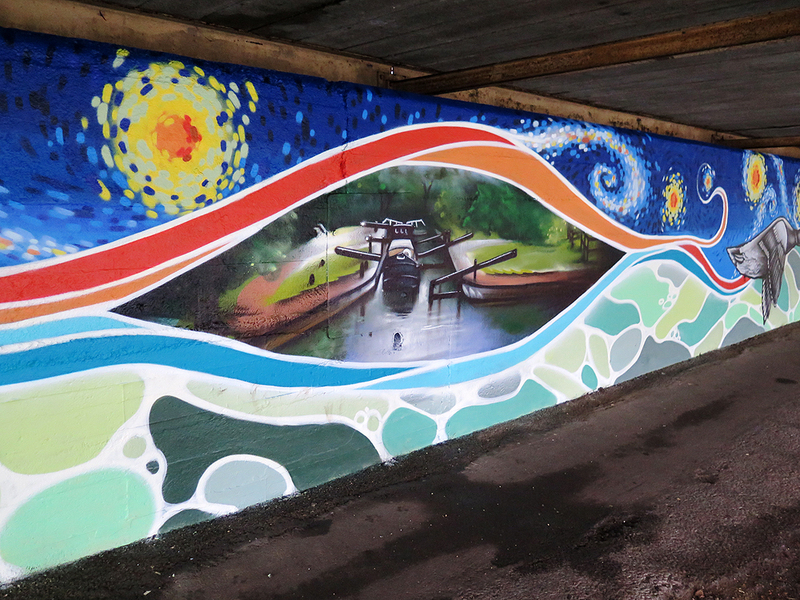 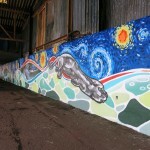 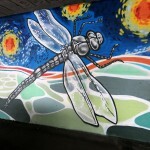 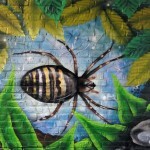 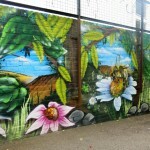 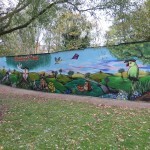 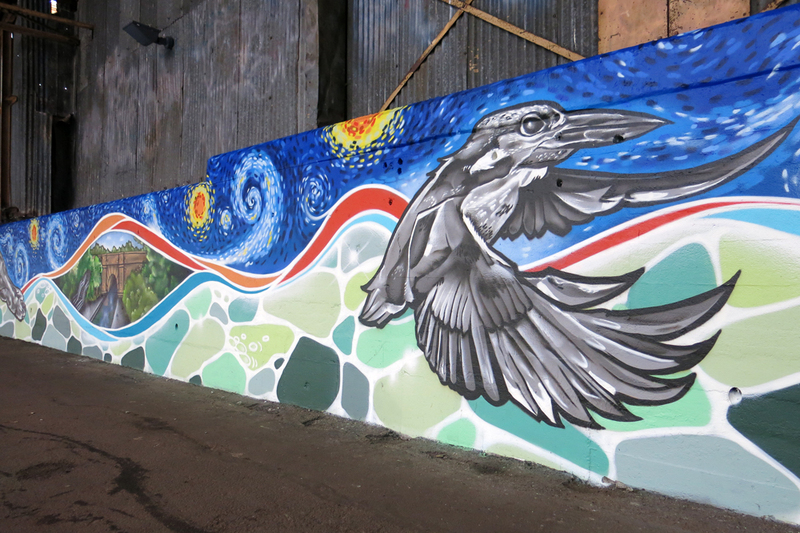 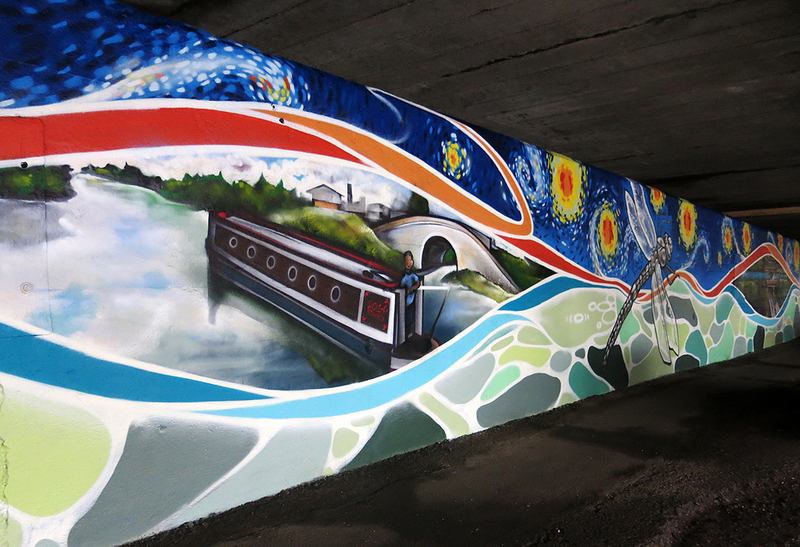 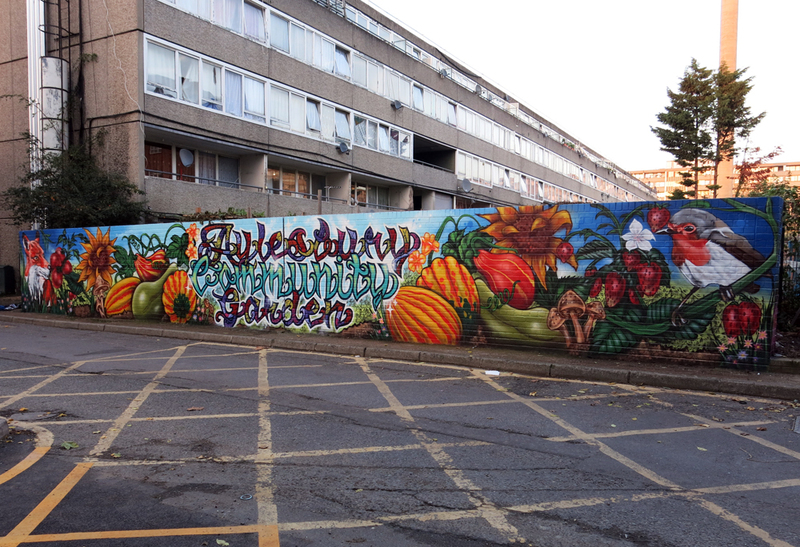 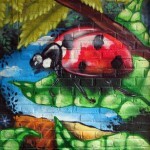 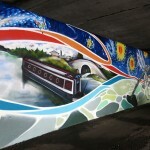 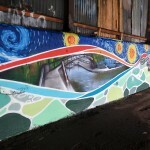 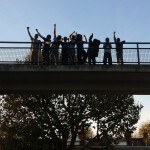 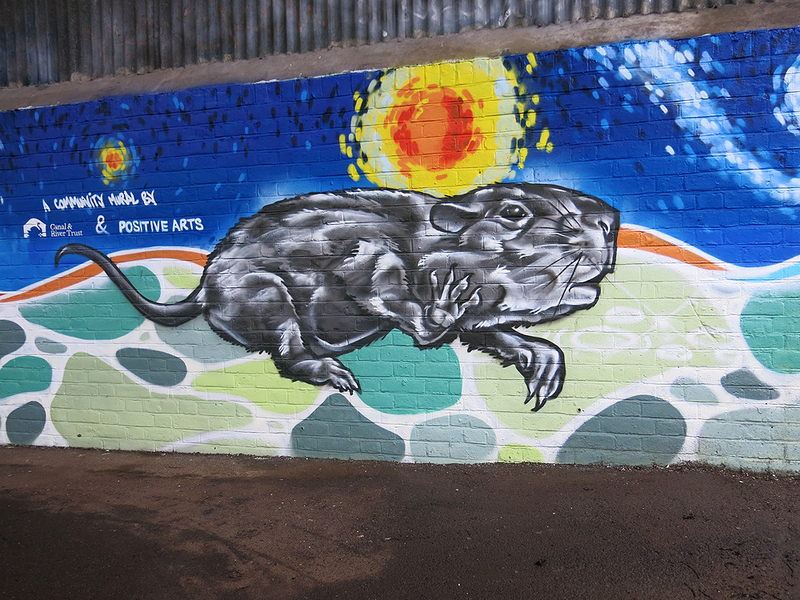 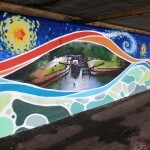 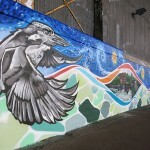 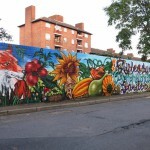 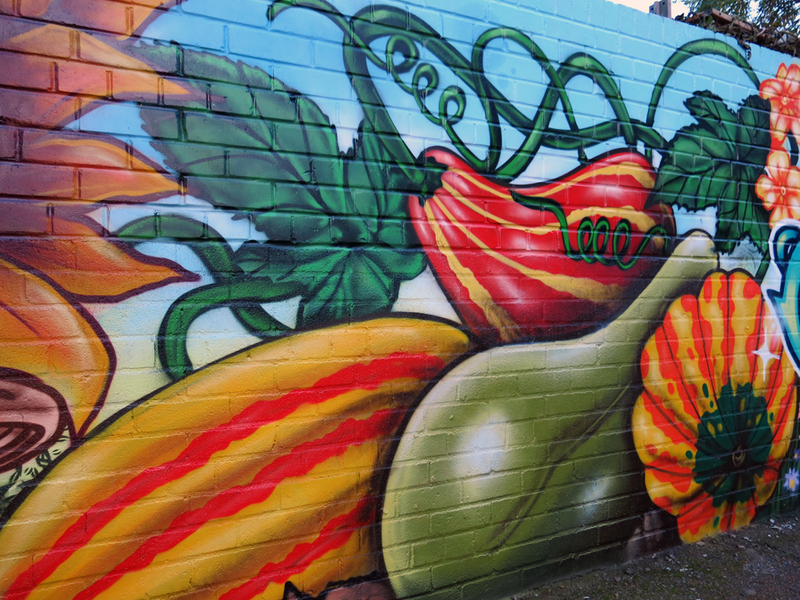 We have just finished a huge mural along the wall of Brentford canal with the Canal and Rivers Trust. 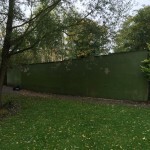 The wall is around 300ft long and was in a very bad state, covered in graffiti etc. 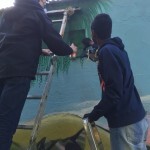 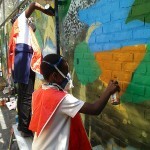 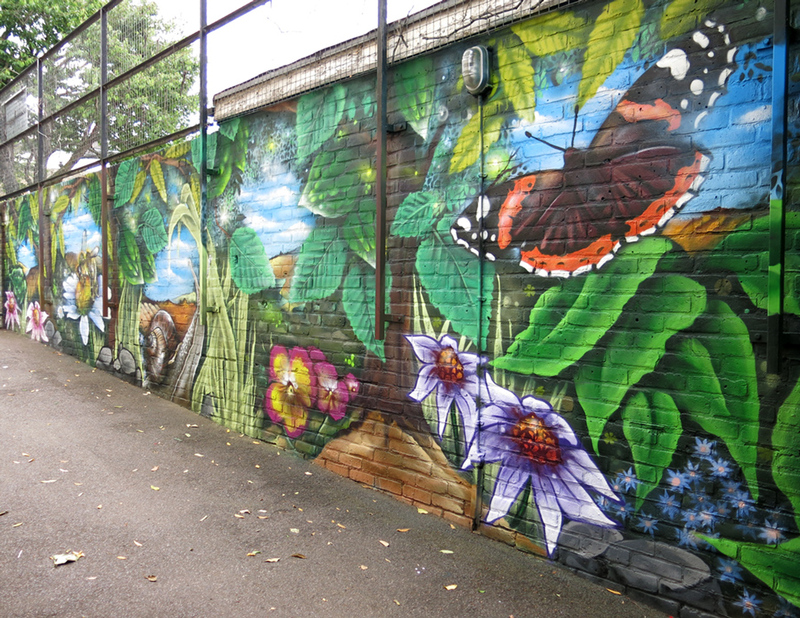 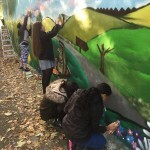 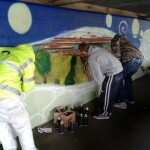 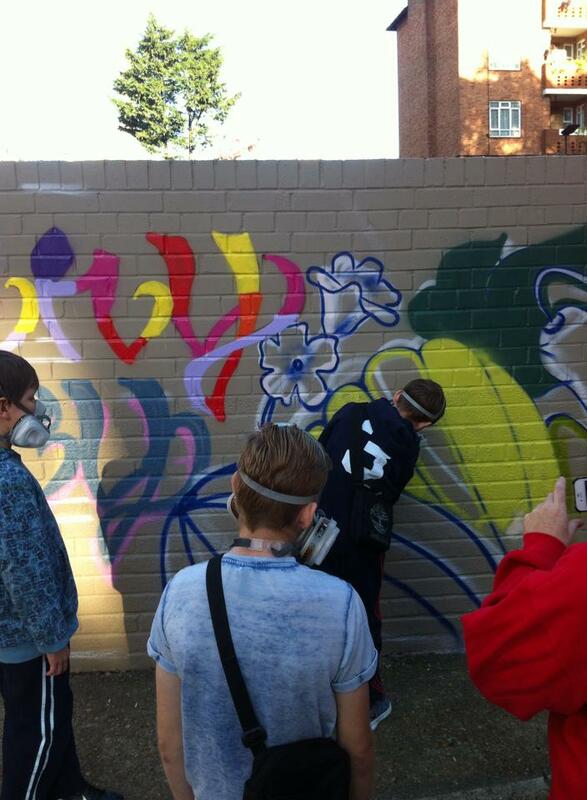 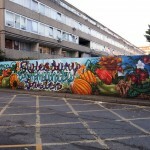 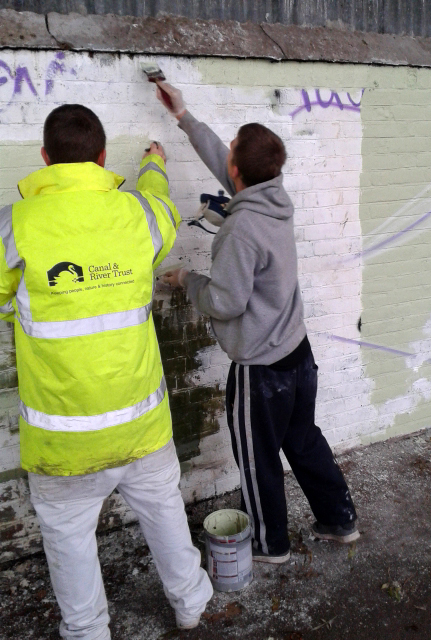 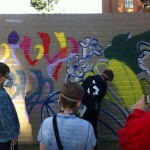 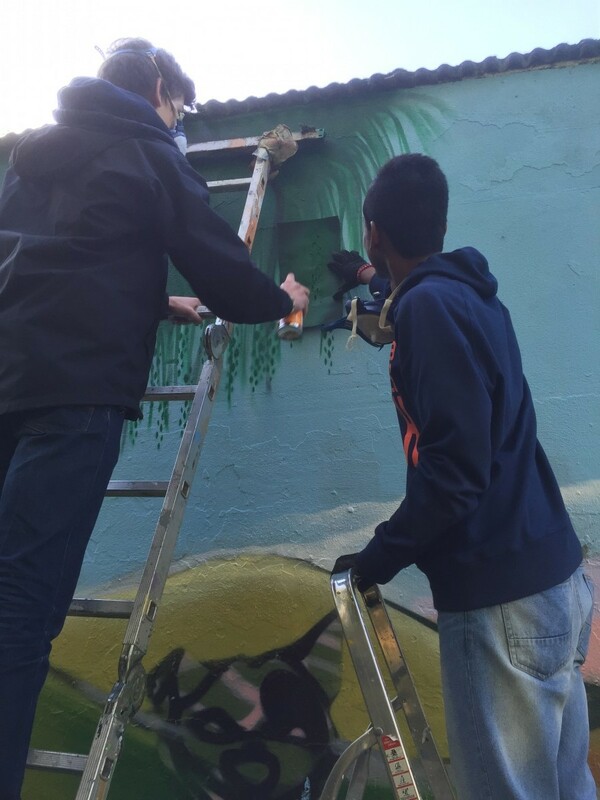 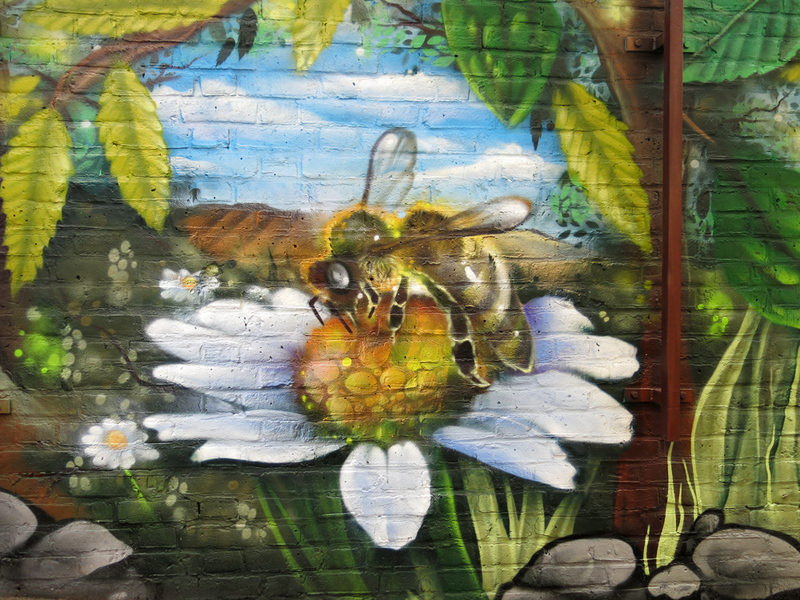 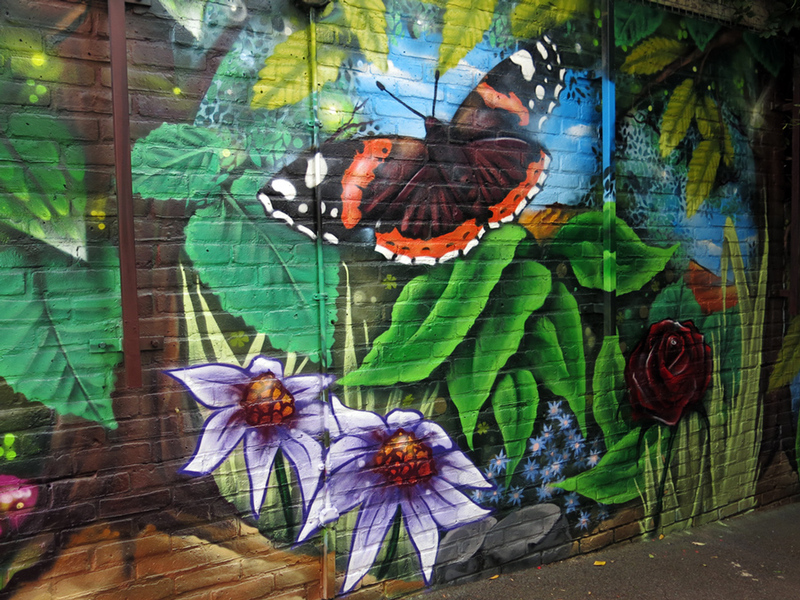 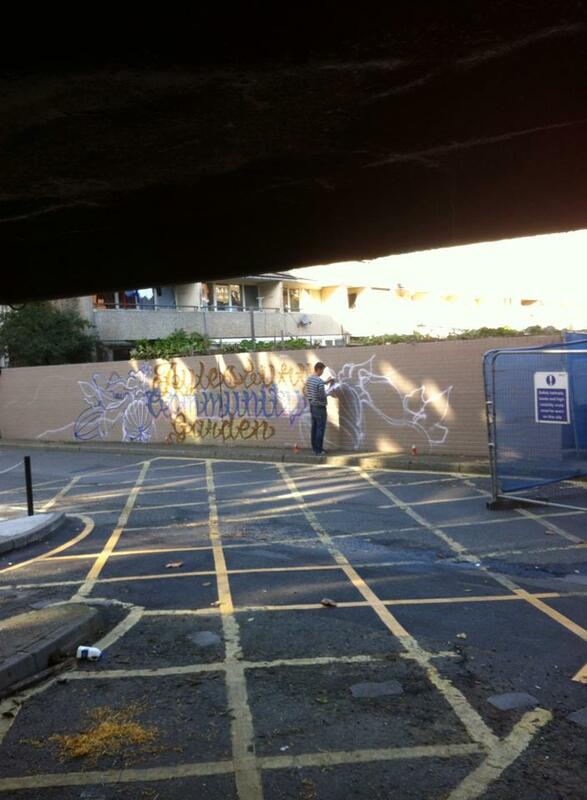 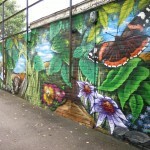 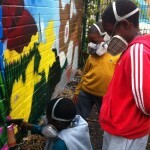 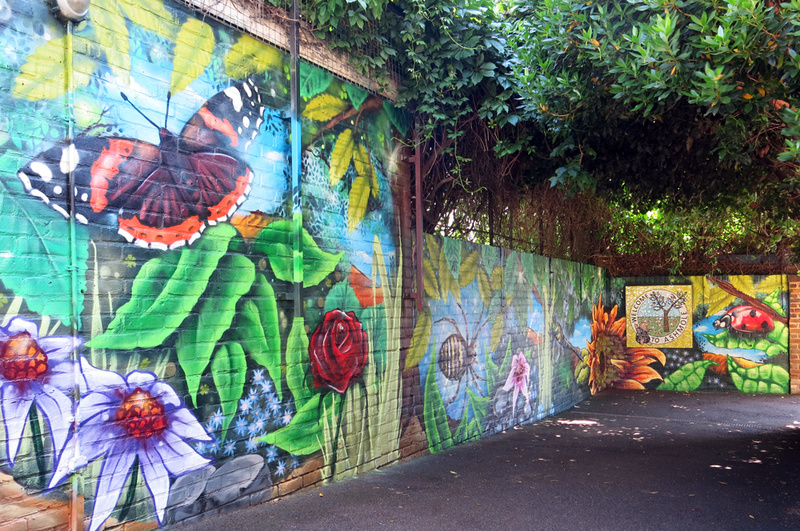 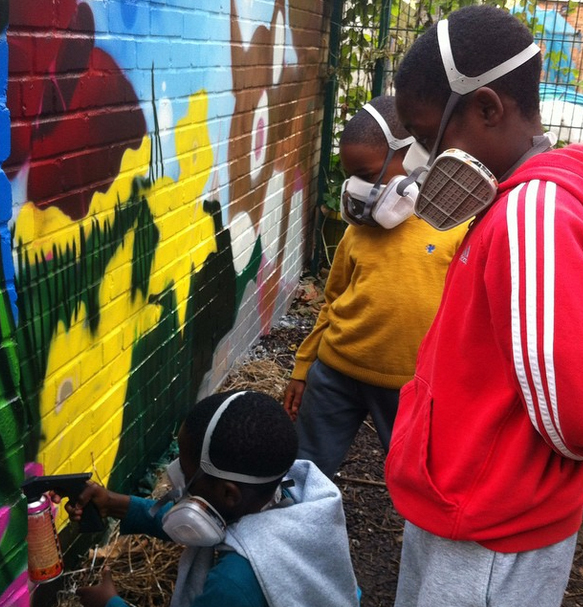 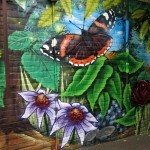 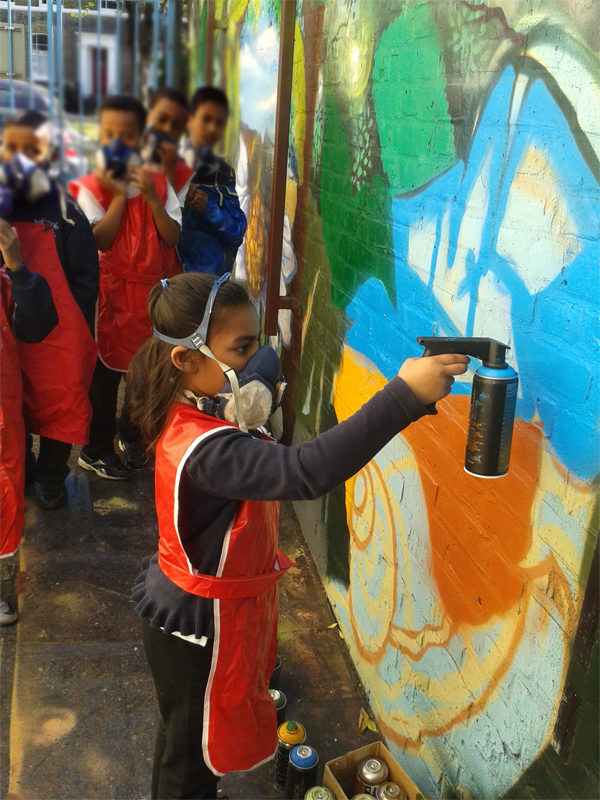 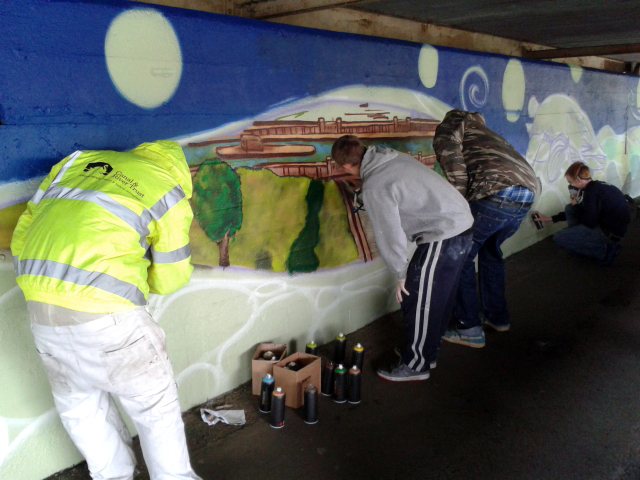 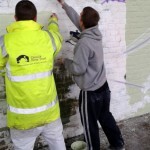 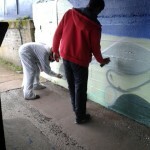 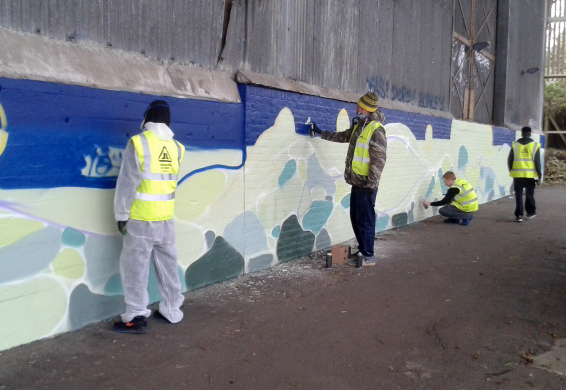 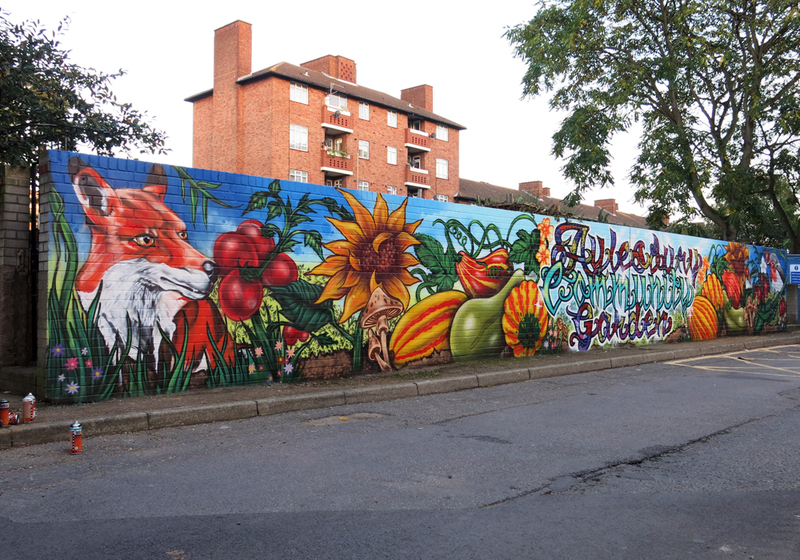 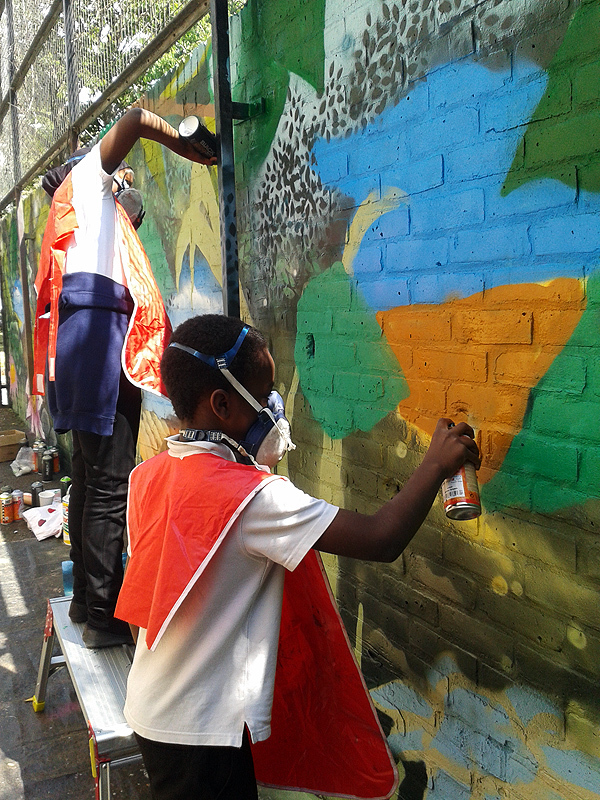 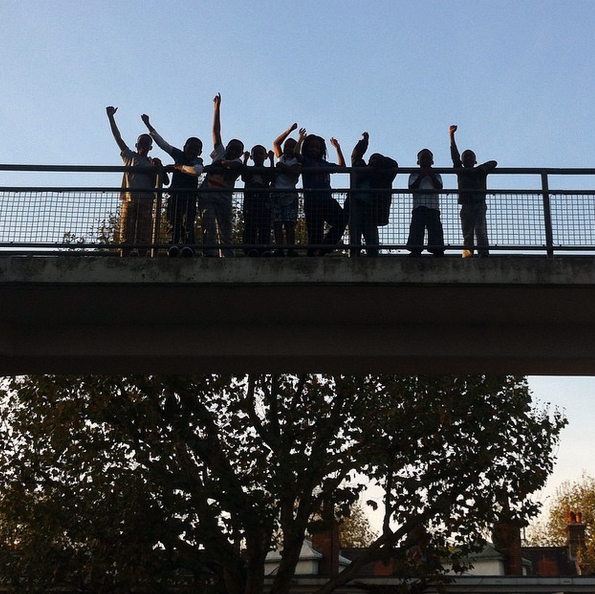 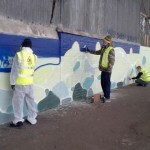 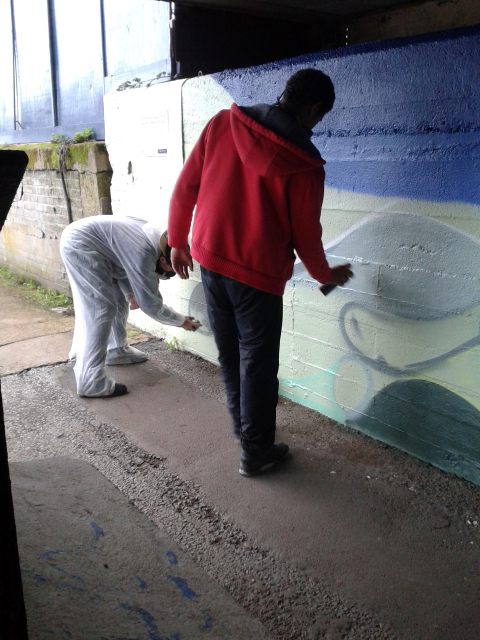 The transformation took place over 2 weeks and involved the consultation of the local community and the help of young people from Hounslow (YOS) Youth Offending Service to do the painting. 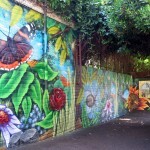 The wall runs along the Brentford warehouse, which can be dark and intimidating to walk through. 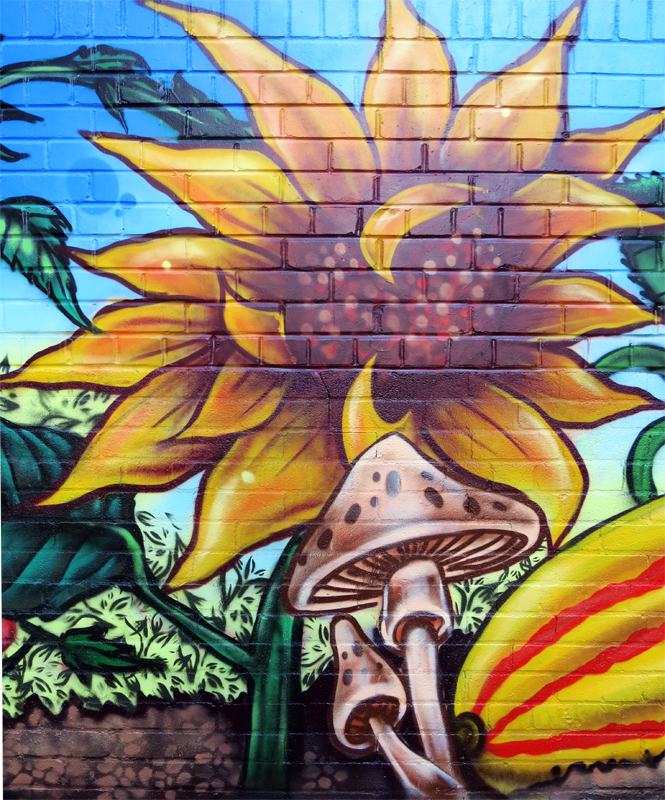 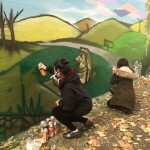 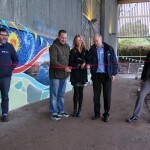 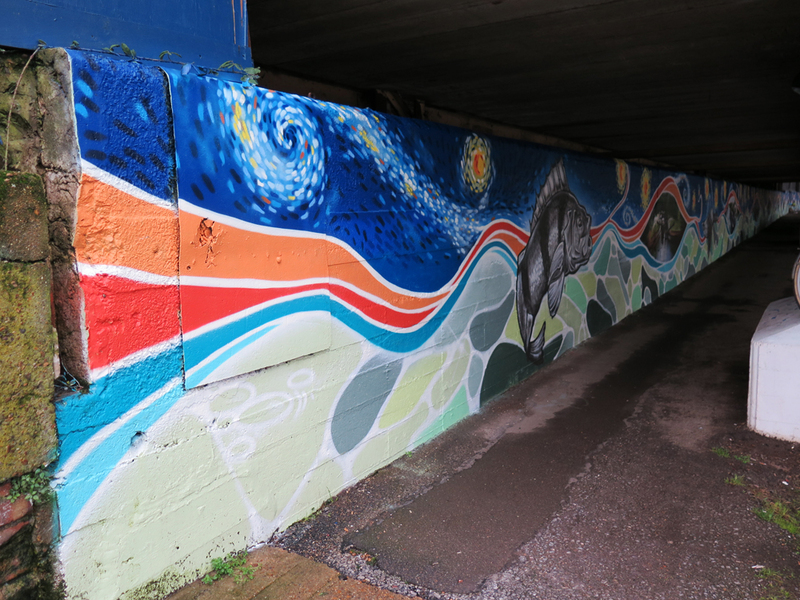 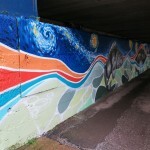 The bright, light and positive mural has completely changed the experience of walking done the path and has been widely praised by locals. 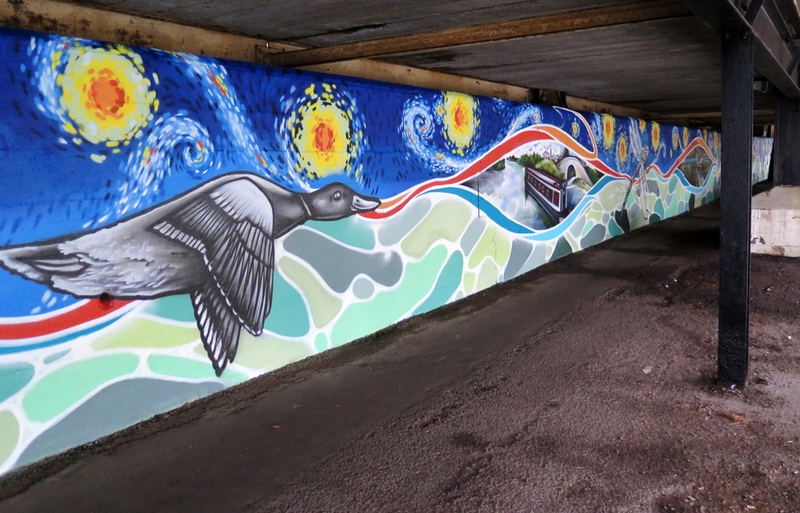 The theme of the artwork takes inspiration from one of the area’s famous former residents; Vincent Van Gogh lived in Isleworth for three years, from 1876-79, and walked past Brentford Dock on his way to the Congregational Church at Turnham Green. 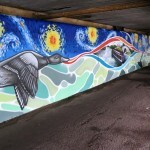 His work “The Starry Night” was incorporated into scenes found along the route of the Grand Union Canal from Brentford, as it continues into the Regent’s Canal which winds through London before finishing at Limehouse. 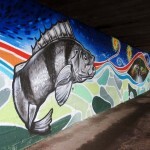 Also we illustrated the local birds, fish and mammals found on the canal. 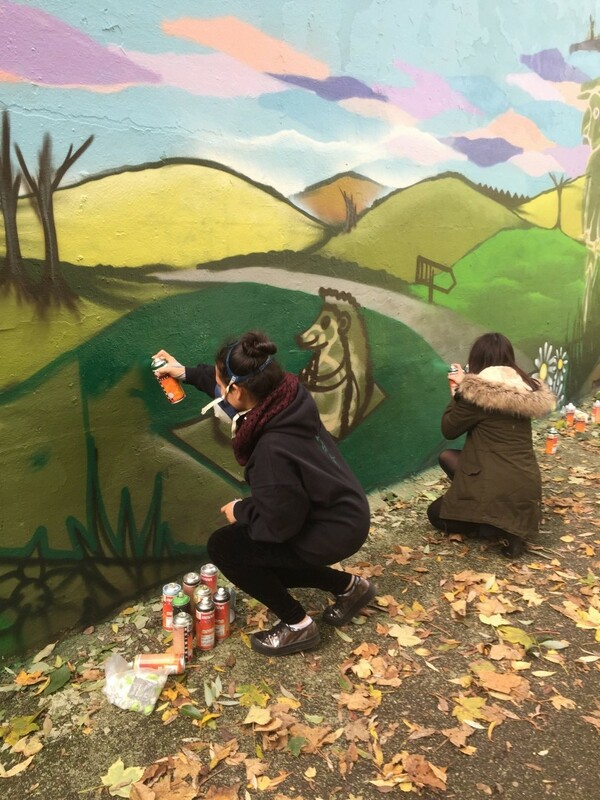 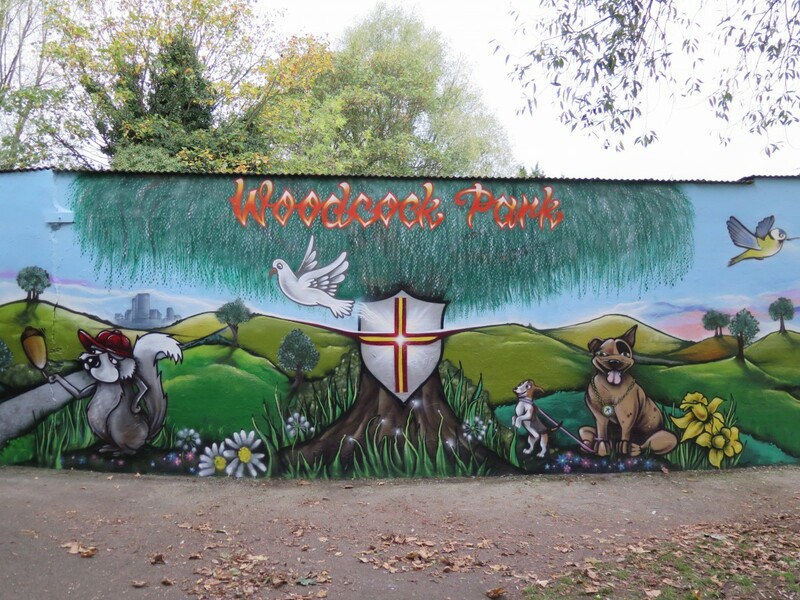 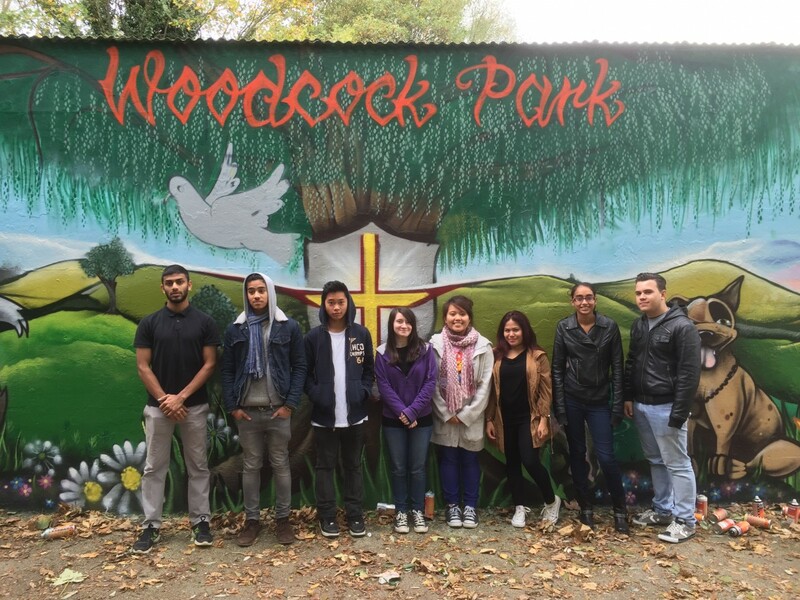 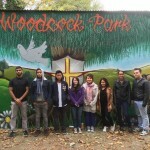 We have just completed a huge mural in Woodcock Park, Brent, working with a group of sixth form students from St Gregory’s Catholic College. 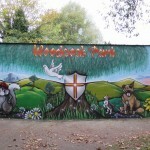 The money was funded by local councillors and supported by the friends of the park. 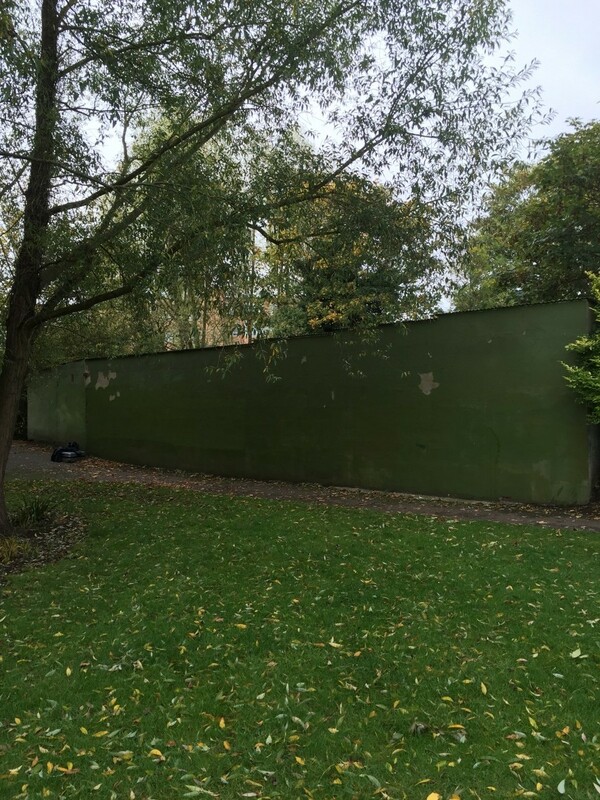 The wall was a real eyesore and the transformation is incredible. 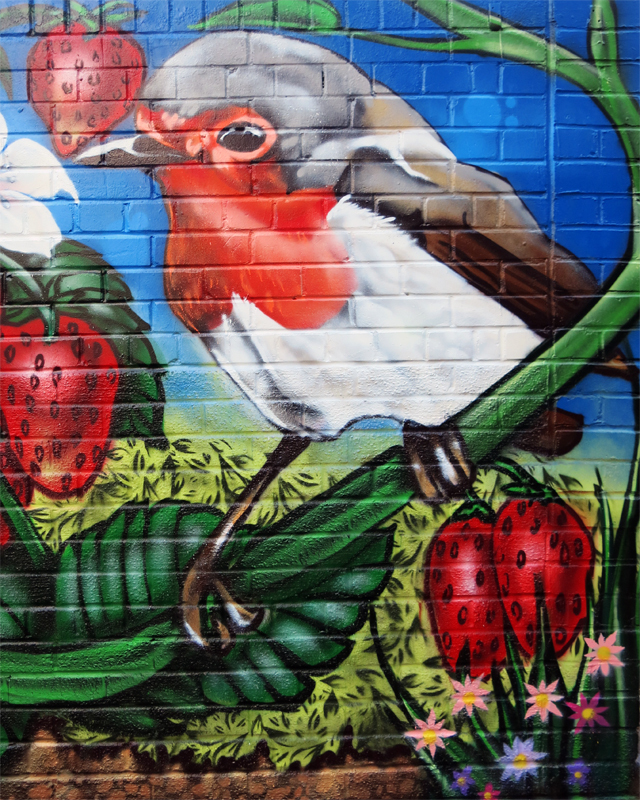 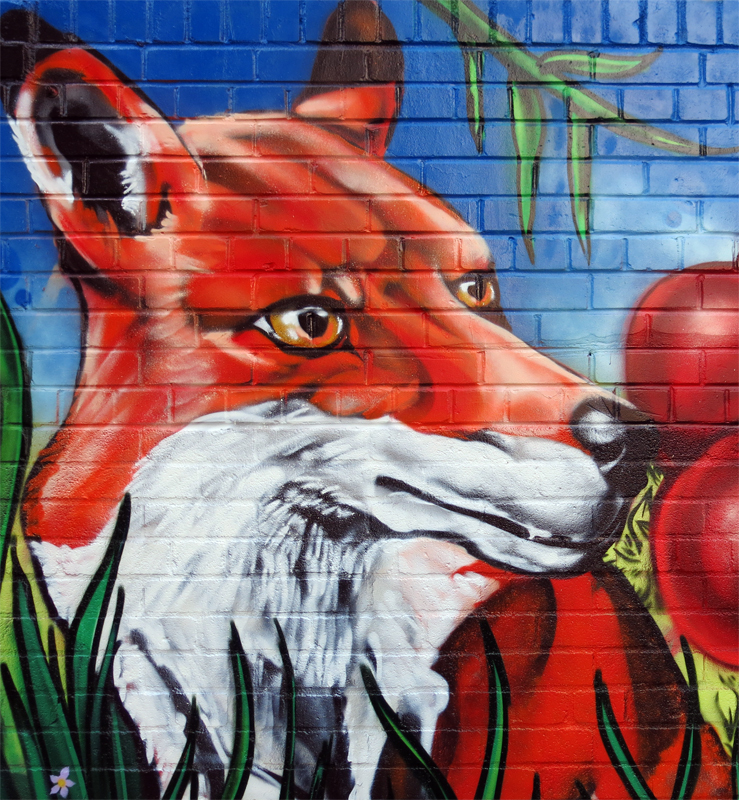 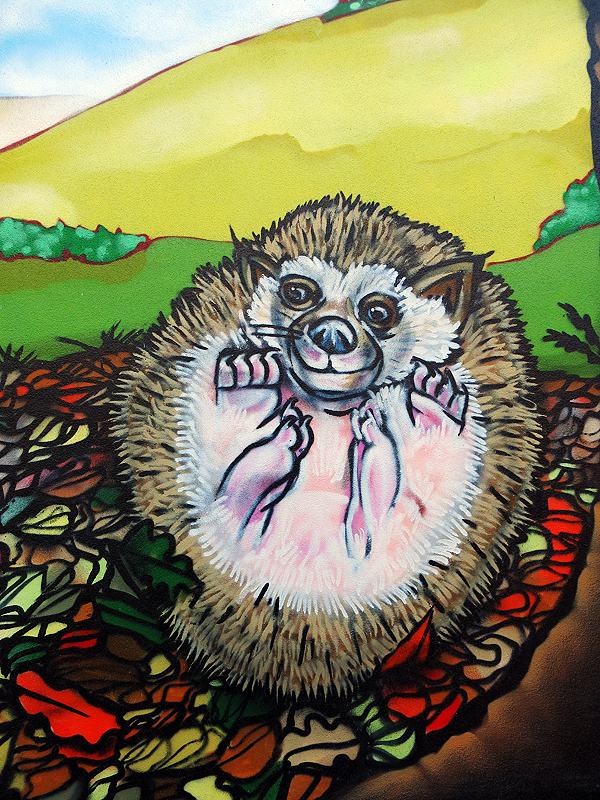 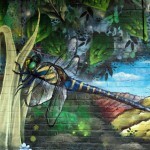 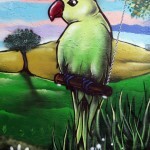 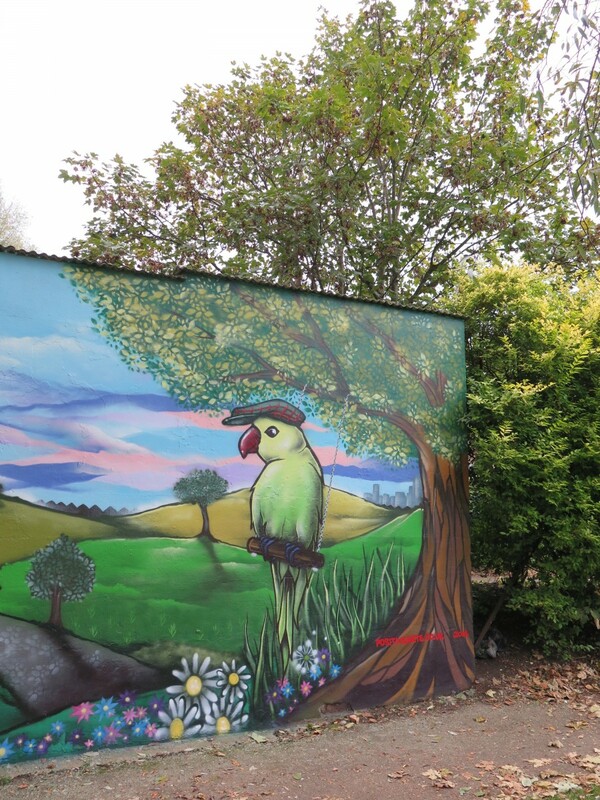 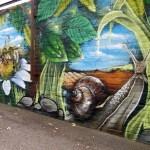 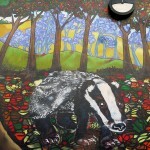 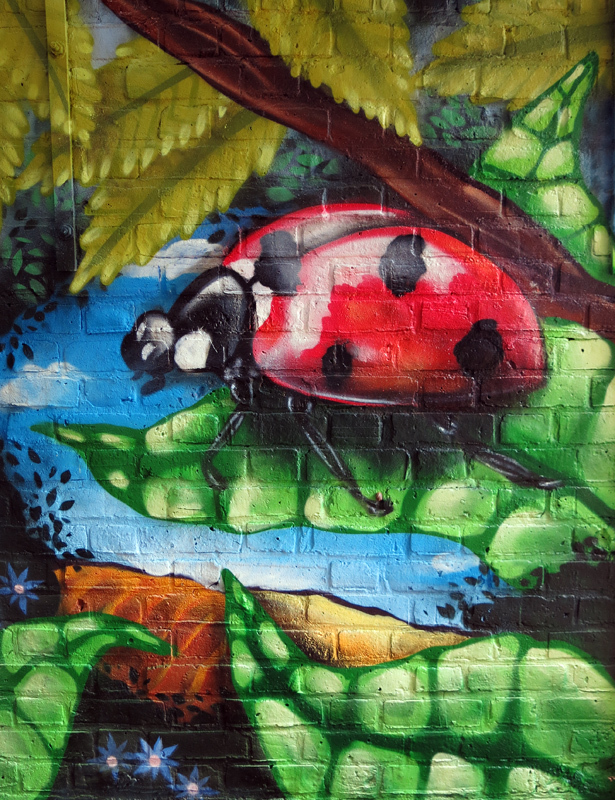 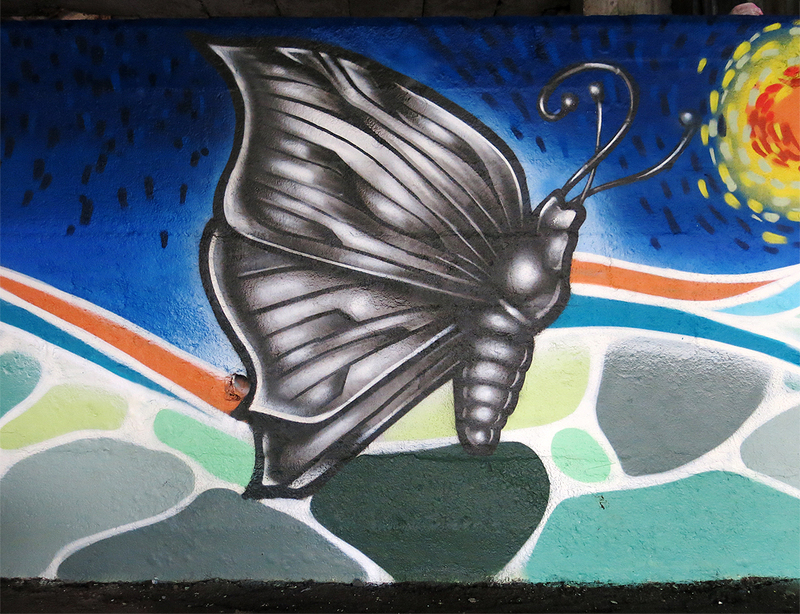 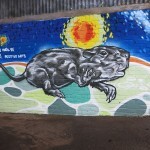 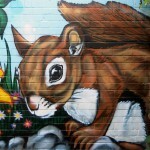 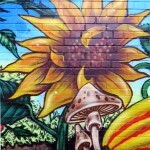 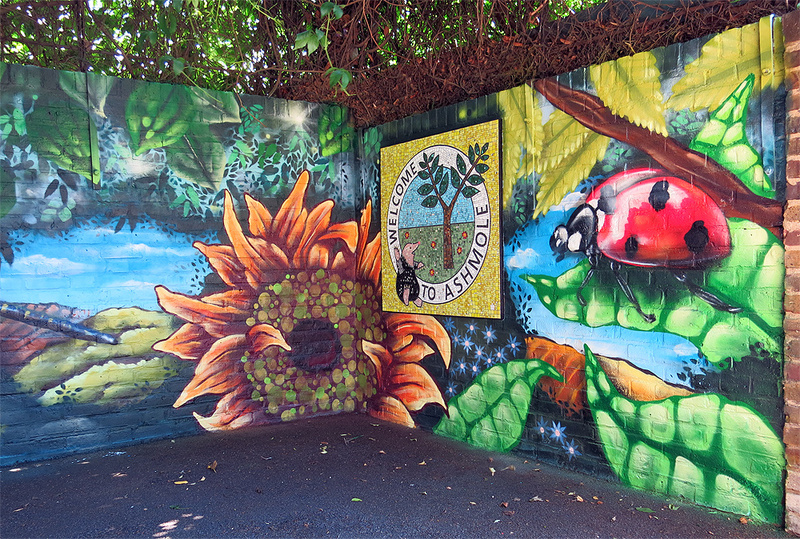 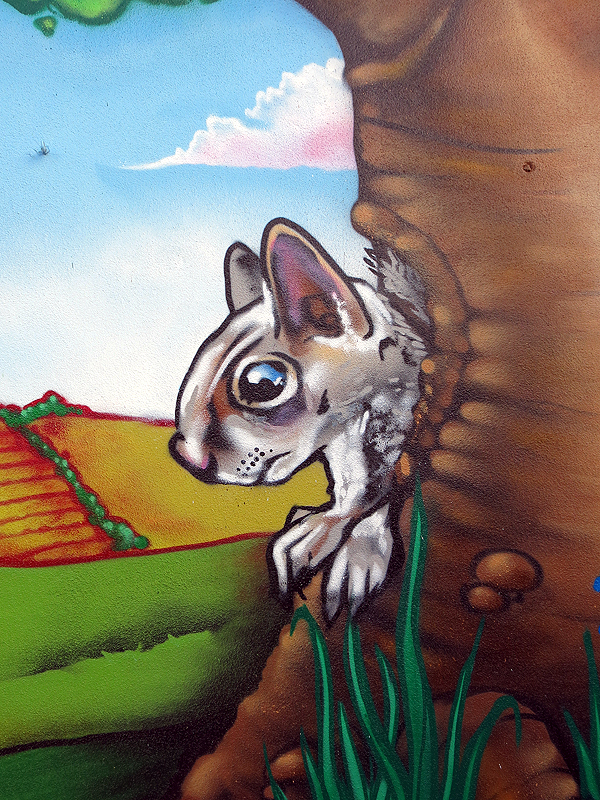 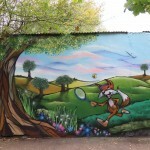 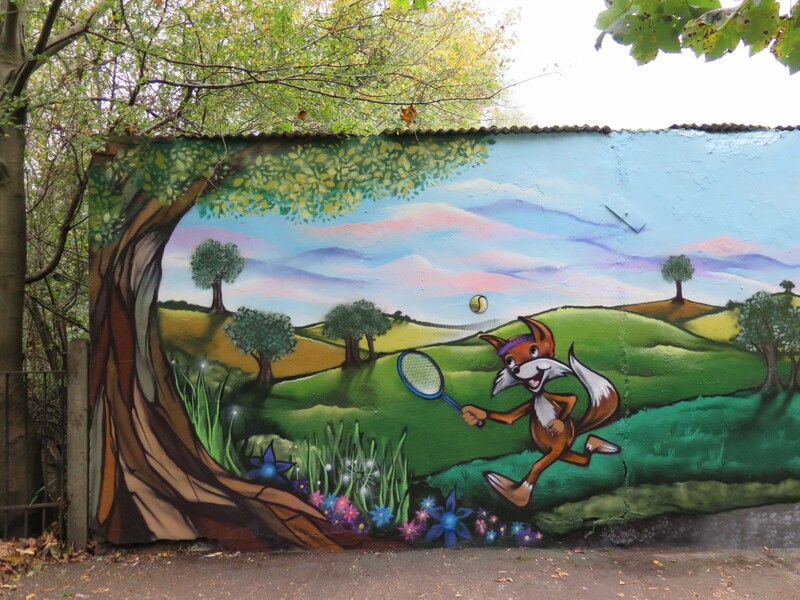 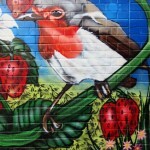 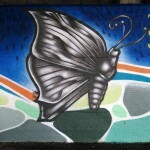 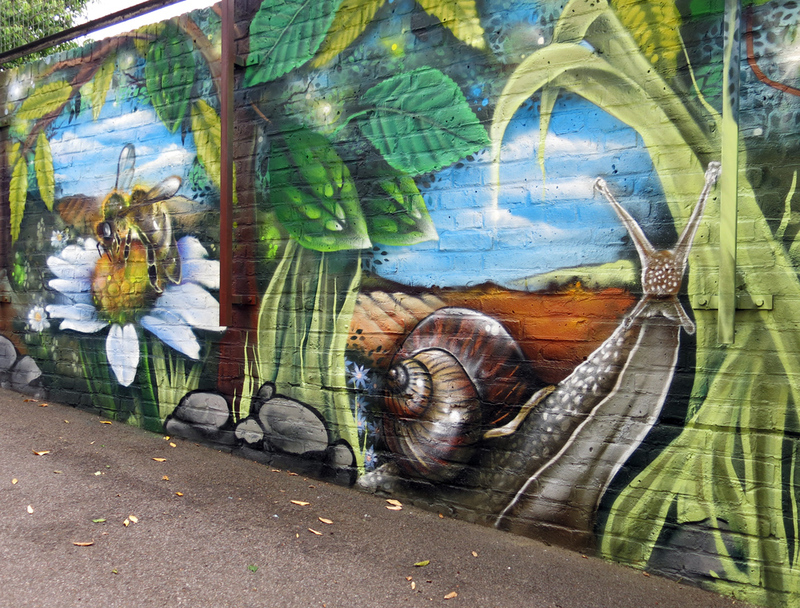 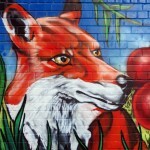 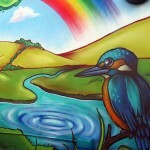 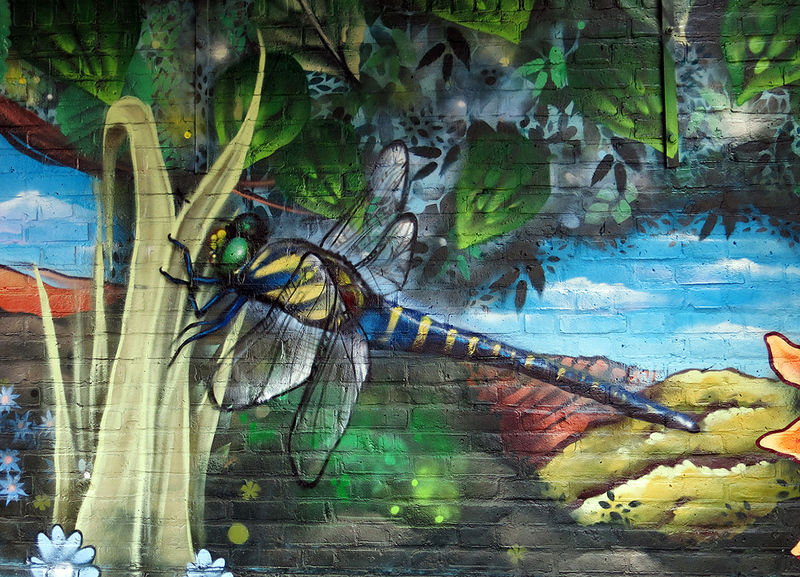 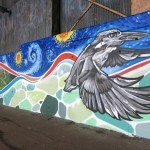 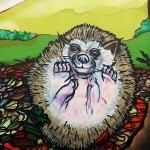 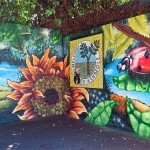 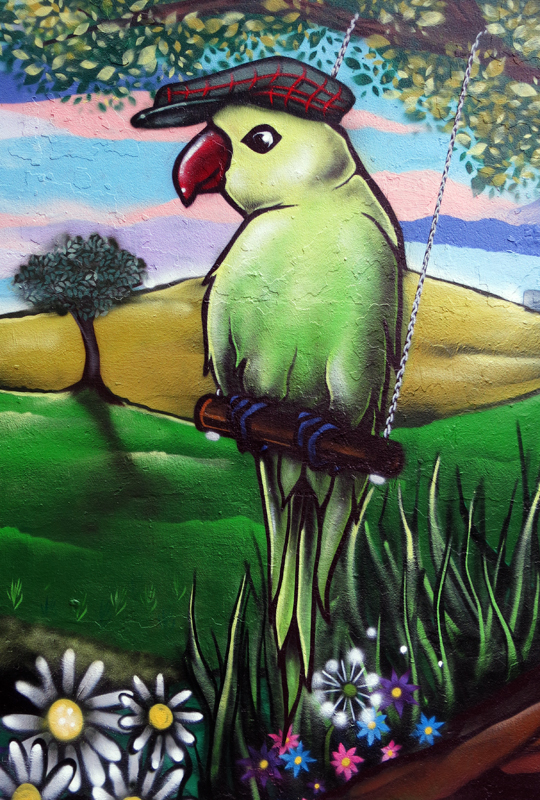 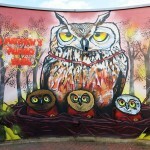 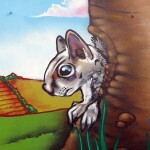 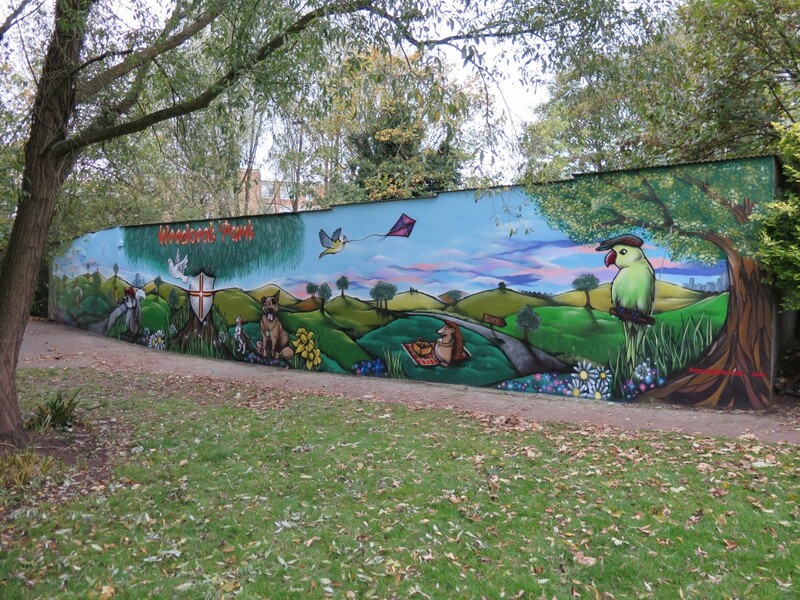 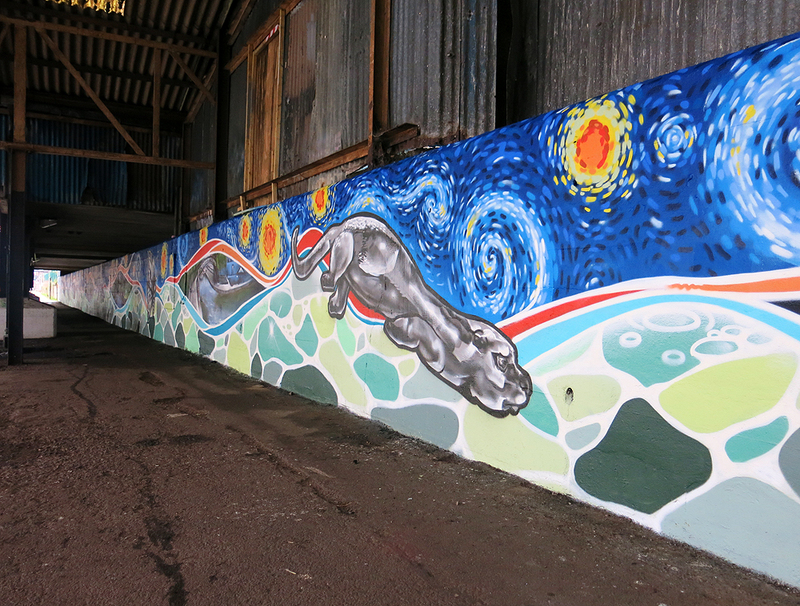 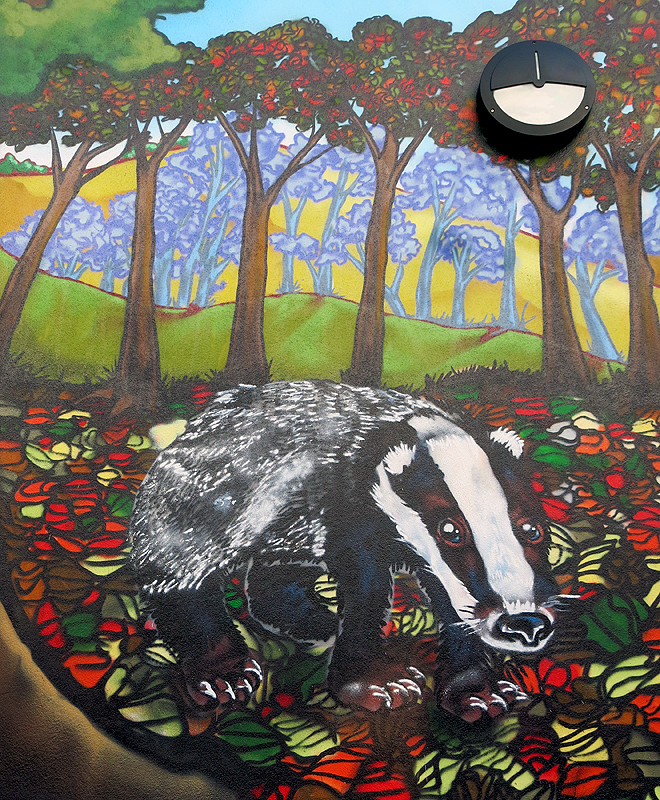 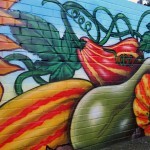 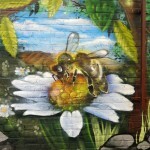 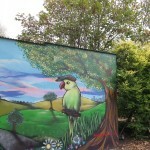 The locals love the new mural which depicts the park and its wildlife, flaura and fauna in a fun and uplifting way. 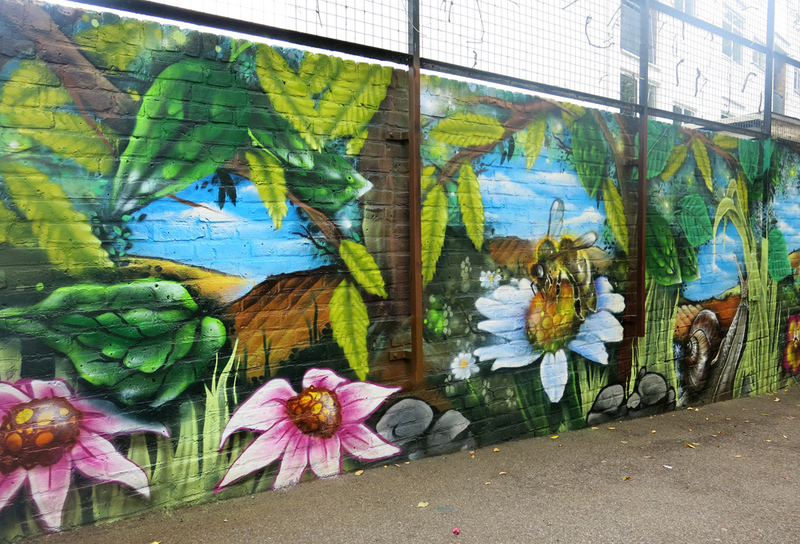 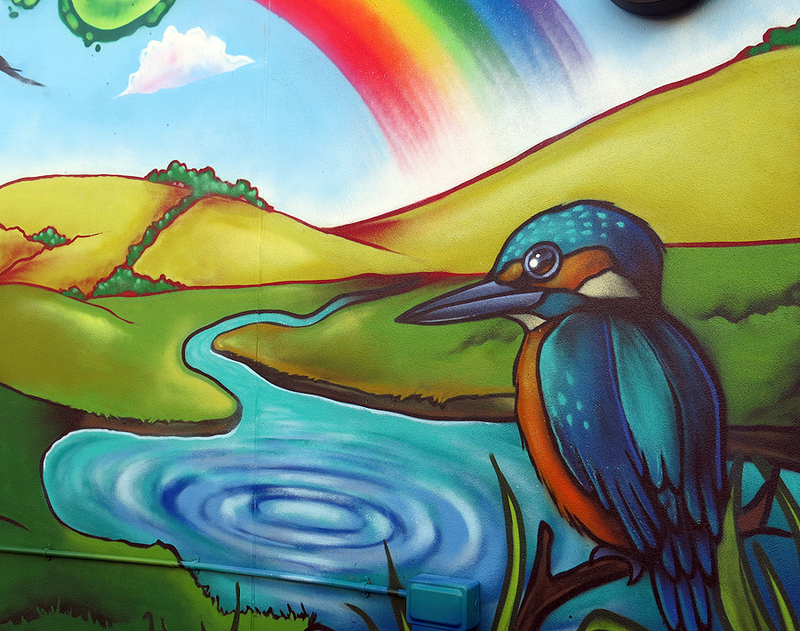 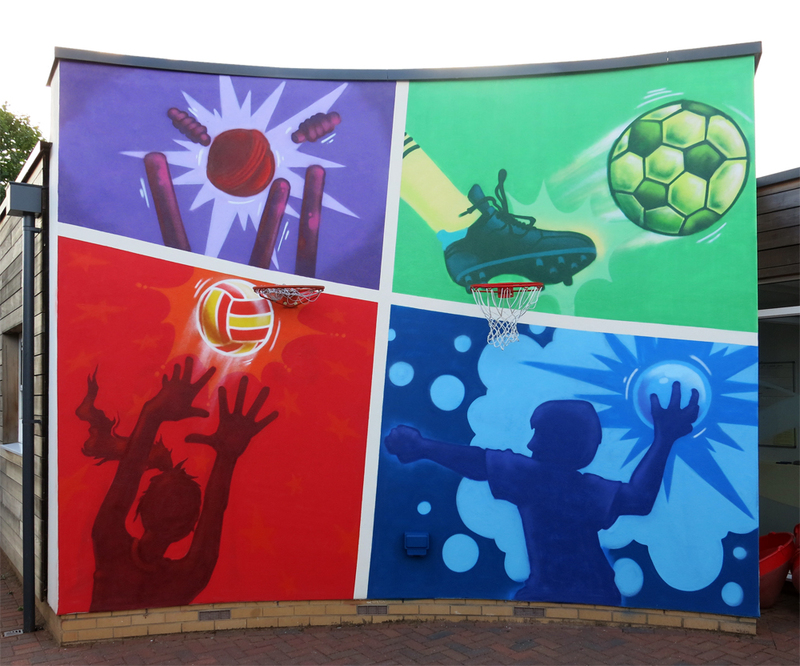 The team have just completed 3 large works of art at St Matthew’s Primary School, transforming the schools entrance. 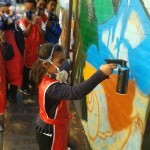 on our arrival we spent the day talking to the pupils about our murals and how they are created, we visited the walls to be painted and discussed how we can make them more inviting and exciting..
other considerations where the schools owl logo along with the uniform colours and the schools sports. 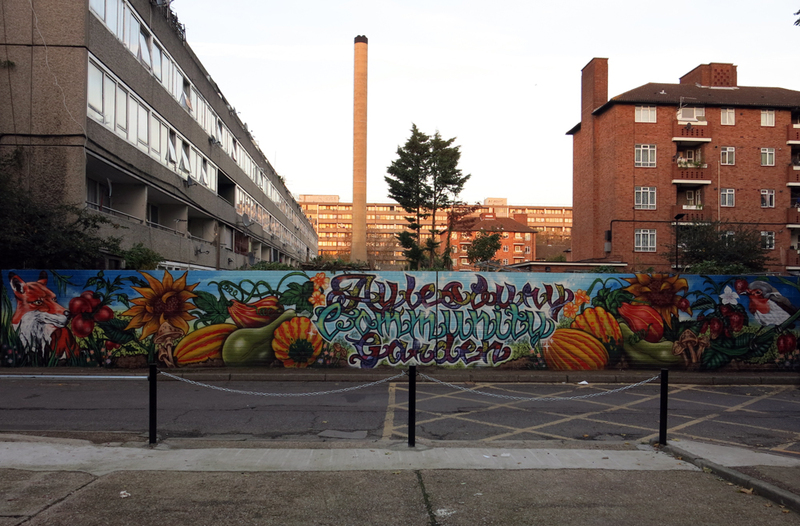 with the school motto very large and centred. 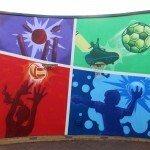 2. sports wall / cricket, dodge ball, football, netball. 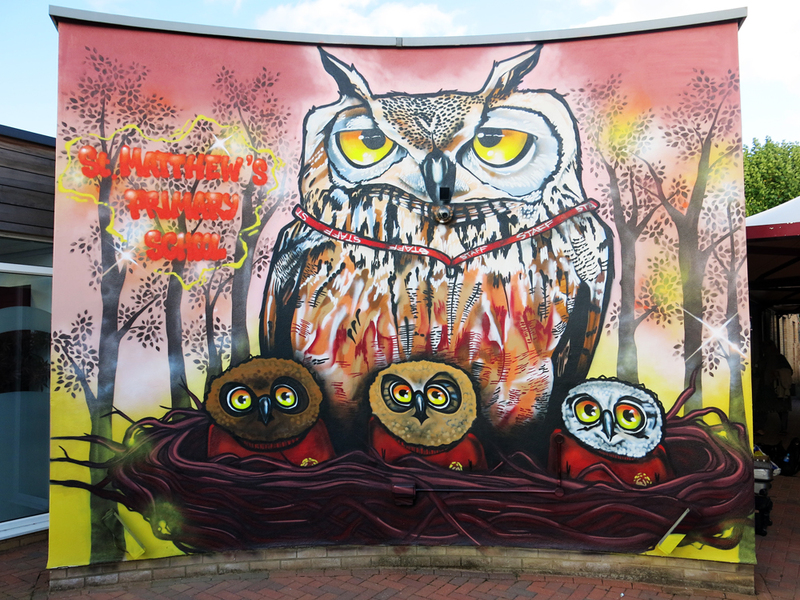 3. owl wall / based on the school logo with a wise owl in there nest with 3 young owls in school jumpers representing the pupils being taught and cared for. 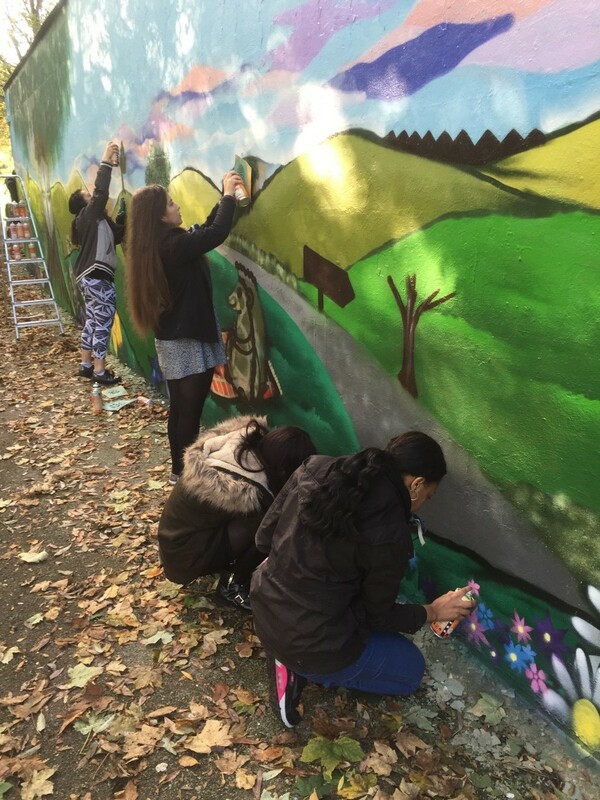 throughout the different stages the pupils came out and watched the murals take shape and asked us many questions about what we where doing and how parts of the mural where created. 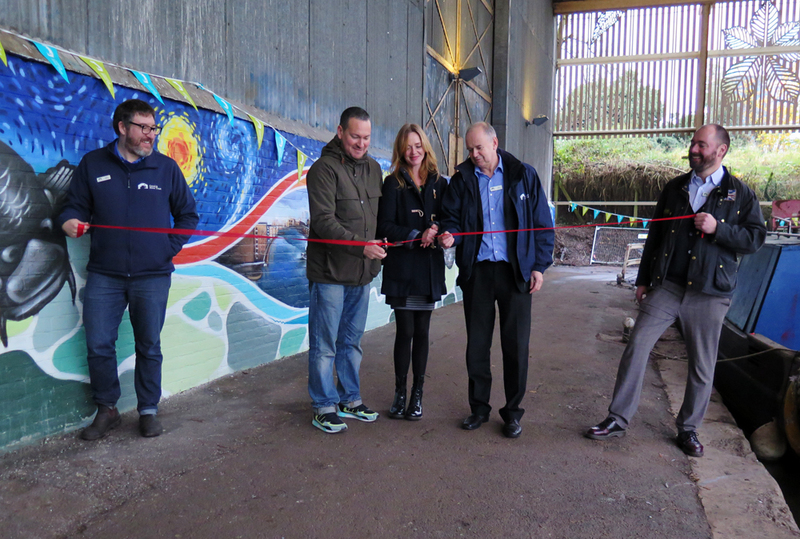 overall the project has inspired and brightened a space for all to enjoy.